Since last Wednesday, when the river began fining down after heavy rain, we have had good fishing with eleven salmon and grilse landed and another eleven lost close to or at the net. I am not sure why so many fish have been poorly hooked, but I suspect it may be that our visiting anglers may be using flies that are too large. My experience of the South Esk is that, apart from in the colder water temperatures of early spring and the last two weeks of October, flies should be lightly dressed and small. I rarely use hooks larger than 8, and prefer the impressionistic effect of the ‘Finavon Whisp’ – a variant of the Cascade – rather than the ‘in-your-face’ heavily dressed Ally Shrimps etc you buy in the tackle shops. I find that salmon at this time of year take the lightly dressed ‘whispish’ fly more readily than the bunch of feathers varieties! Some really beautiful salmon have been caught (and returned). Sally Bateman’s 14lbs fish from the tail of Indies brought a smile to her face, as did a 12lbs fish from Marcus House Pool caught by one of Adam Carr’s party, and my own bright silver hen from Willows. My fish was short and deep, and fortunately I was able to release her from the net without lifting her from the water. Nevertheless, she was very groggy and needed some time to recover sufficiently to swim away strongly upstream. In releasing this fish I did not touch her flanks, nor disrupt the mucus (slime) ‘envelope’ that gives the fish protection from infection. It is not always possible to release a fish in this way, but to do so to such a beautiful egg carrier as this 14lbs silver hen salmon (approximately 8,500 eggs in this fish) was highly satisfactory. Many of the grilse are still silver, but from now on we can expect a higher proportion of coloured fish as we move closer to spawning time. If the water levels remain good, and I expect they will for at least the next few days, we should continue to catch 3 or 4 fish each day, but that cannot be a certainty! I will try to provide updates every two or three days from now until the end of the season. We have just ended another lengthy spell of low water. 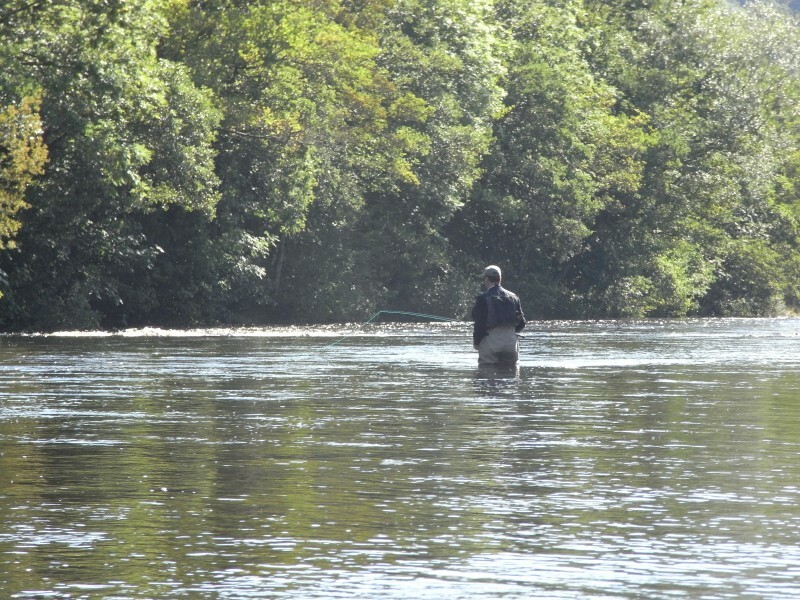 In such conditions, and despite the presence of salmon, grilse and the occasional coloured sea trout in all the main pools, the fishing is slow, if not stationary. After 24 hours of equinoctial gales the rain has started to fall in earnest. If it continues for another few hours we can expect the river to rise overnight, and tomorrow should see some long awaited action. Yesterday, Moray Macfarlane, Finavon’s angling manager and ghillie, showed some large salmon lying beneath the Aqueduct to our visiting anglers, Colin and Sally Bateman. On an otherwise very quiet day for fishing it was a reminder that in the right conditions and at this time of year there are some nice multi sea winter salmon to be caught. These three fine fish were all in the 10lbs plus category with the largest one somewhere near 15lbs; nothing unusual here, but reassuring to us all in a drought. 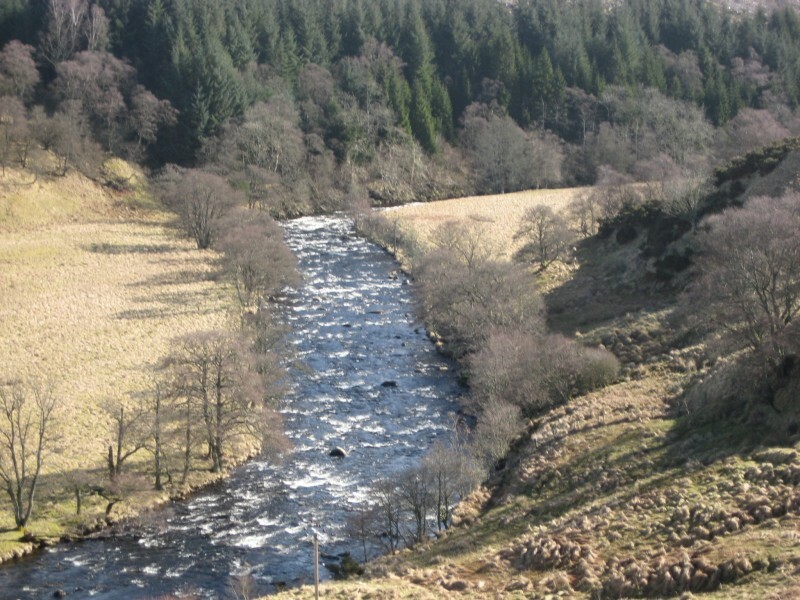 This is the South Esk in Glen Clova, where many of our spring salmon spawn. 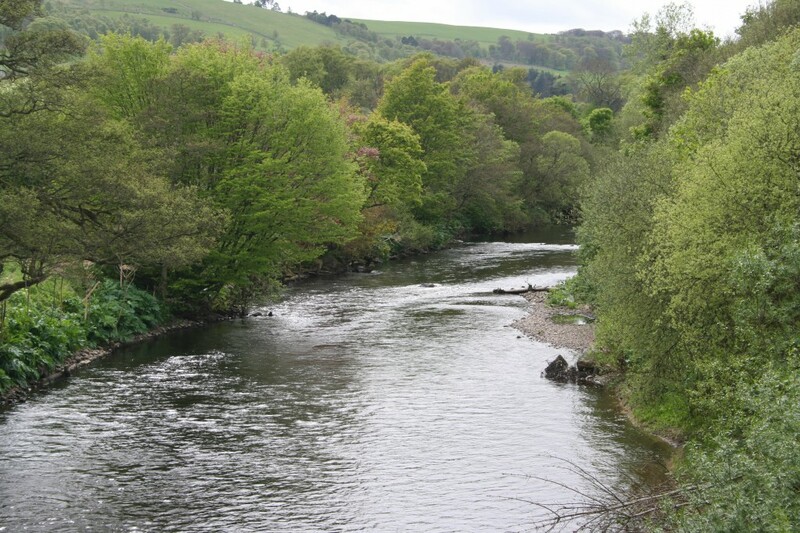 We are now entering the busiest period of the year for salmon fishing and if the water levels stay reasonable we can expect to see, perhaps even catch, some nice salmon. With the coastal netting season over and the river effectively open to all the tides there is no reason why returning salmon should not enter the river and swim as far upstream as they wish. In the old days (pre 1946), when there were dams at Kinnaird, Brechin, Aldbar, Finavon, Justinhaugh, Craigeassie and Cortachy, autumn running salmon were slowed down by these obstructions to their upstream migration. But now there is no real impediment at all. Only the much improved Kinnaird fish pass remains. This means that when conditions are right the fish can make it to Glen Clova, without anything to obstruct them en route. 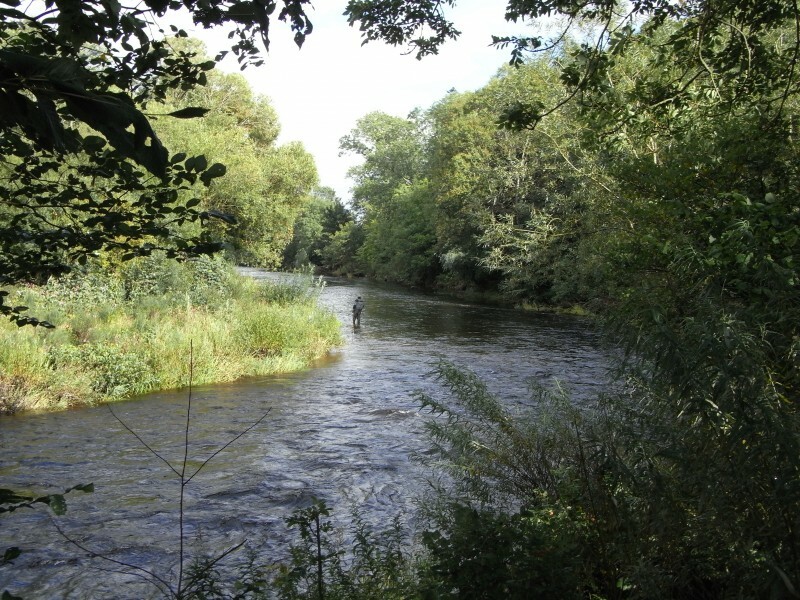 Autumn fishing on the Middle and lower South Esk is much in demand. We have a few days left. If you would like to try for an autumn salmon at Finavon please text 07748 634 658. The flood arrived and as I write this at 0700 on 8th September the water is starting to clear after heavy rain yesterday and overnight. We have a group of six experienced anglers, led by Adam Carr, fishing this week and they will be very unlucky if they don’t catch a salmon or two. Conditions should be really good until the end of the week.